Whiplash is a serious condition that can affect people of any age. Understanding the causes, symptoms, and treatment for whiplash can help you get the care you need after an accident occurs. Whiplash is a condition that occurs when the neck is jerked suddenly, causing the ligaments in the muscles and ligaments of the neck to become slightly torn. Whiplash often occurs as the result of a car accident, personal injury accident, occupational injury and similar events. Why should Car Accident Victims see a Health Care Professional even if they haven't Noticed any Symptoms of Whiplash? Whiplash is a condition that does not show symptoms immediately after the accident occurs. 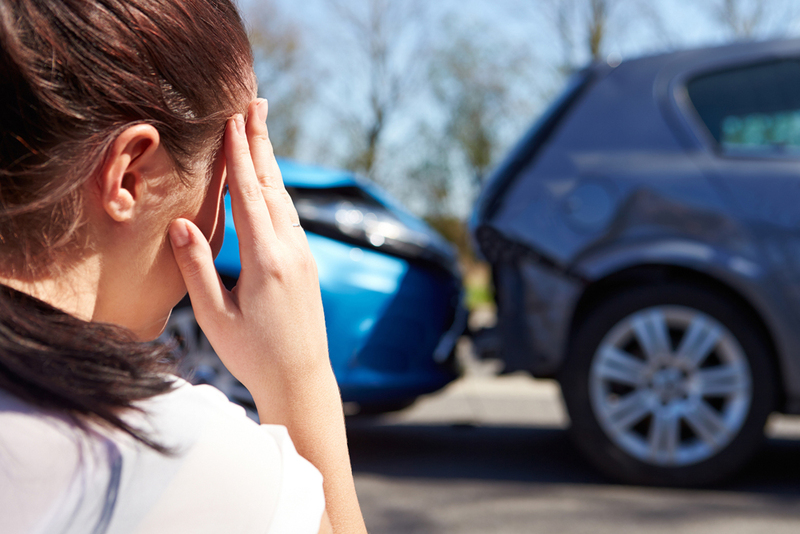 Often patients walk away from car accidents thinking that they are unharmed, only to realize days or weeks later that they were injured in the crash. During that time, the injury may be worsening or becoming more complex. Seeing a health care professional soon after an accident helps to ensure that the patient gets treatment even if they're unaware that they've been injured. What are Some of the Treatment Solutions for Whiplash? Chiropractic care. The spinal adjustment from a chiropractor can help realign the vertebrae and encourage the body to heal. The spinal adjustment also reduces patient pain and swelling in the area around the injury. Massage therapy. Massage therapy helps reduce swelling, loosen the muscles and reduce patient pain. Acupuncture. Acupuncture can help the body heal by stimulating the trigger points in the body. Physical therapy. Physical therapy often involves stretches and exercises that can improve patient mobility and range of motion. Effective physical therapy can help teach the patient to live with their injury while they are in the process of healing. Lifestyle advice. Patients can make small adjustments to their everyday life to avoid exacerbating their injuries and to encourage the body to heal. What are the Benefits of Chiropractic Care after an Accident Occurs? Chiropractic care is non-invasive and medication free. Patients who want to get treatment for their injuries but who worry about the safety of medicines and more invasive forms of treatment can enjoy natural, holistic healing with chiropractic care. Who Can You Contact for Whiplash Care in Thornton, Denver and Aurora, CO? At Synergy Health Partners, we help patients manage their pain and heal their bodies after an accident occurs. We use techniques like chiropractic care, physical therapy, acupuncture and other methods to help our patients. To find out more about how we can help you after an accident, or to make an appointment for diagnosis and treatment, contact us today at 720-410-5237. We'll be happy to help.